Looking for a job? Here’s how to sort through the millions available to find the one that’s right for you. Make your job search easier with these six steps. But with more than 5 million jobs on Monster, where do you even begin? Follow our tips and tricks below to help you find better, faster. Your resume is key to kicking off a strong job search. Not sure how yours stacks up? Get a free resume evaluation today from the experts at Monster's Resume Writing Service. You'll get detailed feedback in two business days, including a review of your resume's appearance and content, and a prediction of a recruiter's first impression. This one is a no-brainer: Signing up for an account on Monster is the quickest way to turn that shiny new resume of yours into interviews. Other perks of having an account: You can save job searches and review your apply history. You’ll also be able to apply to jobs without having to upload a new resume each time. Additionally, if you click on your profile avatar while signed in, then go into your “Account Settings” and click on “Notification Settings,” you’ll be able to check boxes for a variety of useful email alerts. 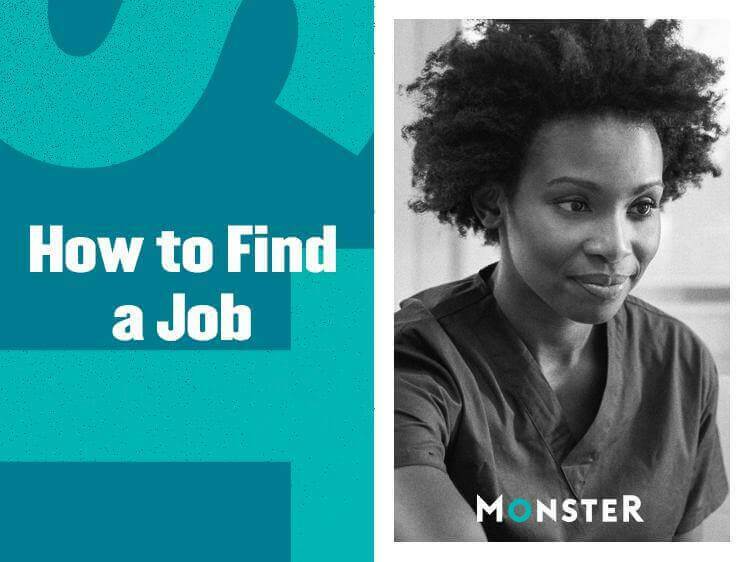 These include Monster Updates, which will occasionally deliver targeted career advice, service announcements, and site enhancements; Targeted Career Opportunities, which are relevant jobs tailored to your specific career orientation; Monster Partner Offers, which are exclusive offers for Monster members, and our Monster Industry Newsletter, which will provide tips on how to advance your career. Salemi says that as soon as recruiters post jobs, they’re ready to start reviewing incoming resumes—meaning the sooner you apply, the better your chances are. Be the first to know about jobs by setting up job alerts on Monster. There are two different ways to do this: First, if you’re signed into your account, perform a job search and click the “Email me jobs” button to the right of the search. You’ll automatically be delivered new, matching jobs when they are posted, and the search will be stored under your “saved searches” area of your profile. If you’d rather not sign up for an account, you can click the same button on any job search results page and enter the email address to where you want to receive job alerts. It’s as simple as that. By having jobs curated to your interests, you can spend less time digging through the millions of jobs on Monster and more time applying to jobs you’re really interested in. Here's the thing about the job market: It changes constantly. New jobs open up all the time, which is great for you because that means the odds of you finding a great job increase by the minute. That's why it's crucial to check in on a daily basis—otherwise you risk missing out on a golden opportunity. Need some help with that? Download the Monster app. It's so easy to use, not to mention it's 100% free and the highest rated job app. See something you like? Swipe right. It's that simple. Use it on the bus, in the dentist's waiting room, on line at the supermarket, while you're making your morning coffee—you get the idea. Bonus: Because you'll just look like you're scrolling through your phone, you can discreetly job search while you're at your current job without anybody suspecting it! Bottom line: A few minutes of job searching here and there every day are all you need to stay on top of things, but those minutes really could make all the difference. You can get the inside scoop on employers by checking out Monster’s company profiles and employee reviews, powered by Kununu. The reviews, posted by current and former employees, can give you a sense of culture, pay, and benefits to help you identify a match. Check out Salemi’s article on how to use company reviews to fine tune your job search for more tips. Another way to find jobs is to use our Monster 100. Released on the first of each month, the Monster 100 lists the 100 employers that posted the most jobs on Monster in the last seven days. You can click through the names of the companies to see what they are hiring for and if any job is a fit for you. A company going on a hiring binge can be a good indicator of financial health. Additionally, this list can give you a sense of which sectors are hiring the most currently, which can give you some hints as to where you might find that demand for workers is higher than supply for workers (read: where you will have less competition). Got all that? It may seem like we just threw a lot at you, but the essence of the message is this: have a strategy and get out there. Need some guidance on taking the first few steps? Join Monster today. As a member, you can upload up to five versions of your cover letter and resume—each tailored to different types of jobs that interest you. Recruiters search Monster every day looking to fill top jobs with qualified candidates, just like you. Plus, you'll receive career advice and job search tips to help you through every phase.